Maya Stovall will present a new performance in her groundbreaking “Manifesto” series that includes special guests from her McDougall-Hunt neighborhood. “Beyond Rebellious Ensemble” is a curated jazz project by Marcus Elliot. “Maya Stovall: Manifesto 3” is an installation in a series of exclusive works in which the artist reveals, through a variety of frames and actions, some of the theory, thinking, and questions streaming through her work. 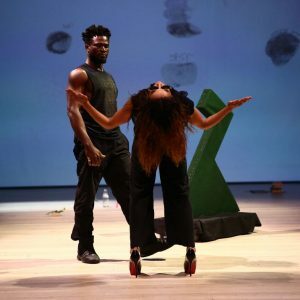 “Manifesto 1” was revealed at the Whitney Museum as part of the artist’s inclusion in this year’s Biennial; and “Manifesto 2”, at art pop Festival, Montreal. With “Manifesto 3”, the artist continues the “Manifesto” series, in Detroit for the very first time, leading up to her upcoming exhibition at Cranbrook Art Museum. Performance also includes Todd Stovall, Mohamed Soumah, and personal guests of the artist. “Beyond Rebellious Ensemble”, curated by Marcus Elliot, is an experimental jazz project influenced by Black American music. It is a group of musicians coming together to express and celebrate their individuality in the context of a community. It serves as a model for how we can create interesting and effective ideas spontaneously and put them into action immediately. This sonic expression is achieved through composition, improvisation, and conduction. The exhibition, Ryan McGinness: Studio Views and Collection Views and Maya Stovall: Liquor Store Theatre Performance Films open at Cranbrook Art Museum on November 17. Check our website for details. 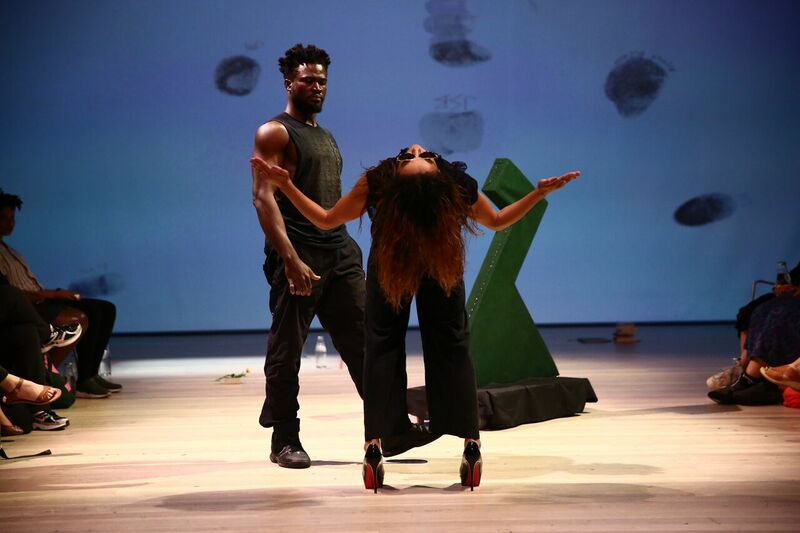 Photo credits: Maya Stovall and Mohamed Soumah in performance of ‘Maya Stovall: Manifesto’ at the Whitney Museum of American Art, May 17, 2017. Photograph copyright Paula Court.